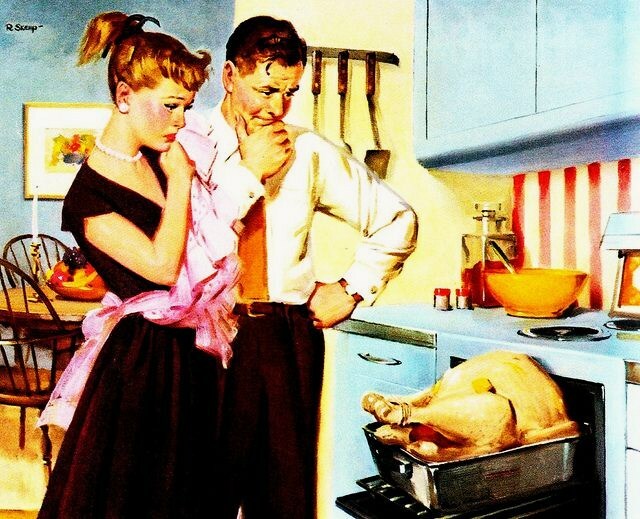 I am telling you, I had a real challenge finding fun mid-century themed advertisements for Thanksgiving. And this Kaiser Foil ad is not really a Thanksgiving theme one. As much as it is just cute.